When it comes to real estate Whitehorse and keeping your home warm when trying to sell in the winter months, it can be tricky. You want your home to be warm and inviting for people coming to view it, and here are a few ways you can do that. Adjusting the thermostat to high can make for a very large bill at the end of the month, so investing in a programmable thermostat might be a good idea. These types of thermostats allow you to program the temperature at different times of the day. So if you are out or at work, you can have it low, and crank it up when you get home. If you know you have a viewing coming up, you can also program it to turn on before the viewing starts, so your home is nice and cozy for the new visitors. Believe it or not, your curtains can actually play a part in keeping your home warm. 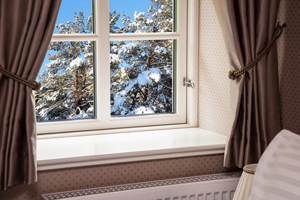 If you have older curtains consider replacing them with thick, insulated curtains during the colder months. Also make sure to keep them closed before a viewing, but open them when the guests arrive. This one is important, especially for Whitehorse real estate. When people are viewing Yukon Homes for Sale they are going to be looking for well insulated homes. Take a very close look at the windows and make sure there are no cracks or leaks. These leaks can let cold air in, and also wreak havoc on your heating bill, as the heat is not being trapped inside the home. 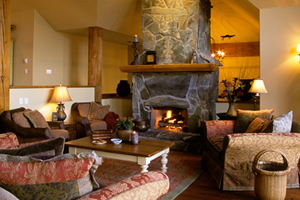 The fireplace is a great way to keep your home warm and toasty, and also sets the tone for people viewing your home. Having a running fireplace with the furniture situated around it, really shows the viewer homer comfortable the living space can be. When not using the fireplace make sure to seal it up so that no cold air is leaking in. Make sure to check your attic and making sure it is sealed as well. Heat rises, so if it is not properly sealed you can be losing a lot of heat as it leaks into the attic. Not everyone knows how an attic is supposed to be properly insulated, so if you’re not sure, check with a professional. These are just a few tips for making sure your home stays warm when listing houses for sale whitehorse. For more information contact Felix Robitaille today.